Our herd this winter with Katie and neighbor friend Alexander. I wanted to share that this weekend I spent painting due to a wet/cold front that moved in and just loved listening to Anna’s pod casts especially the one with Dr. Kirkpatrick! Wow!!!! Amazing so many good points I wanted to put down my paint brush and run to my desk and write them down! This is such a hot topic and so important!!! Thanks for broadening my perspective and giving me the opportunity to continue my education even though I am in Oklahoma and Anna is traveling the world! Hope all is well with both of you!! I continue to assist Robert Hayes, and we have developed a relationship with the local horse rescue working with the horses that come in and are unadoptable and need a professional. Robert is amazing with them and is an eternal optimist. I assist him with many things, but manly work on his herd of 50 (that he has acquired over the years for one reason or an another) to be trained as family horses and sold. Last year I spent the year on one horse and she was sold to a family with three children. So it is a slow process with a lot of love that goes into it and is very rewarding to finally place the horse in a family that will love them for years to come. At home with my herd I offer horsemanship lessons to children and really any age…but I really focus on children, educate them on horse behavior, safety around horses and then we approach the gift of riding. 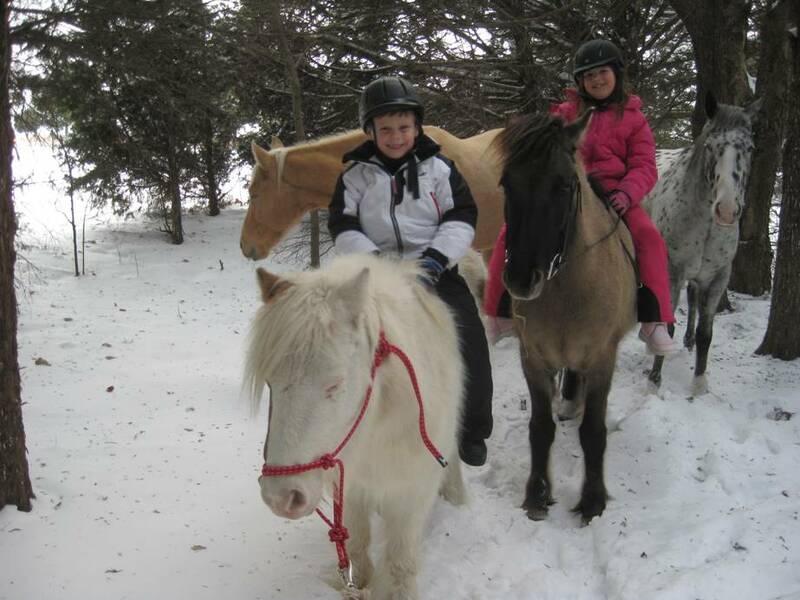 It is a non-rushed program with 100 % attention on how the particular child responds to the horse and vice versa. So far I have had a great success rate of instilling lifelong basic knowledge about horses so that the family will be successful horse owners and feel confident doing whatever their heart desires with their horse. I am extremely passionate about creating a positive environment for the child and horse and educating the parents along the way. This line of work fits perfectly into our lifestyle with Katie heavily involved now the age of eight. My art is doing very well, and continues to pay my horse bills. J I just seem to be taking opportunity as it comes…I appreciate what you both have done for me and just wanted to give you an update. Hope all is well with you and your family! March 18th Podcast Guest Tracy Vroom – Expert Craniosacral Practitioner, Teacher, Speaker & Founder of Cranioconnection.com. Tracy Vroom has been providing complementary health and performance solutions specializing in horses and dogs for over a decade. She founded The CranioConnection after leaving an 15 year career in publishing at Forbes Magazine to pursue her life’s work with animals. She grew up on a farm in Iowa surrounded by animals of all kinds and today loves sharing her passion and making a difference in the lives of animals and their humans. She is the co-founder of the Holistic Horse Care Cooperative. Their mission is to provide educational and networking opportunities for equine practitioners and owners. The HHCC presents the Holistic Horse Affair in Colorado each year. Tracy’s comprehensive evaluations identify core imbalances in the body that cause underlying issues associated with dysfunction and pain. These issues are addressed and rebalanced with appropriate bodywork methods promoting the body’s natural healing process. Sessions typically provide relief and lasting results, including improved performance, movement, flexibility, health, and behavior. Tracy connects with each animal as an individual and has a keen ability for observing the body as a whole, taking into account the animal’s current state and history; emotionally and physically. She strongly believes in sharing information and tools with the animal’s caretaker and empowering people is a huge part of why she loves this work. Tracy has taught and studied with world-renowned pioneers in complementary and holistic medicine. Her blended approach integrates a broad range of certifications, including, craniosacral therapy for horses and companion animals; Equine Body Work (specialty in sports massage, biomechanics, and movement); the Tellington TTouch/TTEAM Training Method; Postural Rehabilitation; Shamanic technology and Reiki. Tracy maintains that animals have been her most profound teachers. She is a frequently sought after subject expert, mentor, speaker, and educator. Tracy co-teaches certification classes for the Tellington TTouch/TTEAM Method and lectures at universities and private training facilities across the country. Her work has been featured in a variety of magazines and newspapers. Tracy’s practice includes individual sessions and workshops. She works with animals in all disciplines and levels of performance. Her home base is CO but she travels all over the nation to share her work. Tracy is dedicated to giving back to the animals who give us so much by volunteering for many organizations including: dog and horse rescue groups, therapeutic riding and seeing-eye dog programs, 4H education, animal shelters, and wild horse sanctuaries. Franklin Levinson is back and still Free, on Reaching Out with Anna Twinney! Once again Anna and Vin enjoy the wise and compassionate words of Franklin Levinson. Franklin gives us an update on his exciting venture in Corfu, Greece, helping to create a better world for horses and humans. Then he and Anna move to the world of equine training and have an honest discussion about the use and effectiveness of punishment, reprimands and consequences and share more useful, insightful and trust-based tips for your own training and relationship with your horse. These conversations are jam-packed with lots of great tips and information that you can apply to your horsemanship and to your life. You don’t want to miss these episodes. Click Here to register and listen on ReachOutToHorses.com. This is your opportunity to learn from the best of the best! You will hear interviews of legends in Natural Horsemanship and Training, Animal Communication, Healing, Alternative Modalities and more. Nowhere else will you find this caliber of guests in one spot… Anywhere! People like Madeleine Pickens, Frank Weller, Linda Tellinton-Jones, Carolyn Resnick, and Franklin Levinson… just to name a few. All interviews are free up until a week after all the episodes of each guest are aired. Then, if you should happen to miss them, you can download the entire conversation for a small fee. All you need is a computer and an internet connection (which you already have if you are reading this), and you can take advantage of this incredible resource. So go to www.reachouttohorses.com, tune in and get informed and inspired! Anna Twinney is an internationally respected Animal Communicator, Equine Specialist, Natural Horsemanship Clinician, and Reiki Master. She has been featured on TV, national and international magazines and travels the world educating people and horses working in the horse’s own language. As the founder of the Reach Out to Horses® program, she remains on the cutting-edge of genuine, gentle communication techniques with all our planetary companions. For more information on Anna & the Reach Out to Horses program go to reachouttohorses.com. Franklin Levinson – Internationally known Horseman & the Creator of the Way of the Horse & Beyond Natural Horsemanship Programs. Franklin Levinson grew up with horses. His father was an avid polo player. At the age of thirteen Franklin was the youngest ‘registered’ polo player in the US. By the time he was 17 he was training polo ponies for hire. His life with horses continued to expand as he began running the equestrian programs at summer camps while in his early twenties. Franklin not only taught horseback riding to those children, he also developed a passion for teaching ‘horse’ (the language, psychology, needs and nature of horses). Franklin discovered early on that knowledge about horses would enhance the experience that all his students had with their horses. He had discovered that there was so much more to the horse than the human riding it. This went for adult horse owners as well because the focus for them seemed to always be on riding horses and not the horse itself. Being a competent rider does not mean being an experienced horse person. Franklin began teaching about the nature of ‘trust’ as it relates to horses very early in his professional training/teaching career. The humans and the horses he encountered seemed to benefit greatly from his gentle and knowledgeable approach to teaching horsemanship. At 30 years of age Franklin moved to the island of Maui, Hawaii and built his own small horse ranch. He began Adventures on Horseback, which was a daylong outing on horseback into Maui’s tropical rain forests with swimming in waterfalls. As a group leader, Franklin’s intention was always to inspire and uplift, as well as educate those who journeyed with him. During the 25 years AOH operated Franklin further honed his skills as an exceptionally gifted trainer, group leader, teacher and horseman. In the early 90’s Franklin created the Maui Horse Whisperer Experience to teach the language and psychology of horses to interested parties whether they were horse enthusiasts or not. This seminar was one of the first Equine Facilitated Learning programs available in this country. He teaches the skills to be successful with horses as life enriching qualities that will enhance the lives of all involved (including the horses). 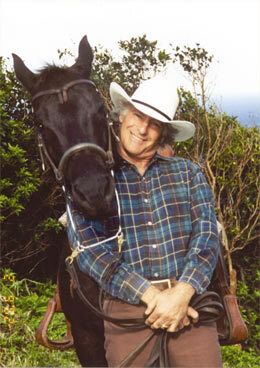 In 2002 he was invited to a Colorado ranch to teach his gentle horsemanship methods and train horses. Colorado has been his home base ever since. The first year he was there he began the Aspen Horse Whisperer Experience. Similar to his Maui EFL program, it utilizes Equine Facilitated Learning to help and improve the lives of adults and children. He also regularly provides therapeutic equine facilitated programs for disadvantaged and learning disabled children. The last six years, through invitations to Canada, Greece and Ireland, England, Australia and New Zealand he has begun to travel internationally to teach his gentle, highly effective horse training techniques of ‘Training Thru Trust’ and demonstrate Equine Facilitated Learning. Franklin’s intention to inspire and uplift everyone he encounters and to enrich the lives of all horses and humans he interacts with continues as his daily mission. Franklin’s philosophies, essays and commentaries on high-level, gentle and effective horsemanship have been featured nationally and internationally in numerous publications, television programs (Discovery Channel, ESPN, Public Television, American Adventurer and more) and various other media outlets. Some of what sets Franklin apart from other trainers is that, first and foremost, Franklin’s goal and agenda with any horse is the development of ‘trust.’ No relationship can develop and flourish without mutual trust and respect at its very core. Franklin teaches the skills, attitudes and paradigms essential to developing this sort of successful relationship with horses, and between humans as well. He recently created ‘Beyond Natural Horsemanship: Successful Training through Compassion, Wisdom, Trust and Skill.’ This program was designed to take interested people deeper and further into the world of the horse than the ‘natural horsemanship’ bandwagon and craze currently does. episode and find out how you can take back your health and your life! Judy Sinner – February 11th – Free on Reaching Out with Anna Twinney! Judy Sinner – Gold Executive Director with Dynamite Marketing. Judy joins us once again, this time with a special extended length episode. We start the conversation with Judy revealing her secrets to good health. But then we get into the new Dynamite 180 Weight Loss Protocol. During this extensive (over an hour) interview Judy shares the ins and outs of this incredible program. She explains why Dynamite got into the business of weight loss, how it works and how you can get started using the same protocol that Vin and Anna are now using to lose over 10 lbs. in 2 weeks and still going strong!. If you’ve got a few (or more than a few) unwanted pounds you’re looking to shed, this is a great opportunity to find out how you can take advantage of this effective and safe protocol. Register and listen on ReachOutToHorses.com. Don’t miss this life-changing conversation. And then join Anna and Vin in their quest to drop the pounds and get healthy! Find out more information about the 180 Weight Loss Protocol on the Dynamite Website. Go to the Dynamite Facebook Page to find out how and when you can Listen to the 180 Protocol Informational Teleclass. People like Franklin Levinson, Madeleine Pickens, Dr. Robert Miller, Lucy Rees, Mark Rashid, Richard Schrake, Carolyn Resnick, Frank Bell, Gene Ovinick… just to name a few. All you need is a computer and an internet connection (which you already have if you are reading this), and you can take advantage of this incredible resource. So go to http://www.reachouttohorses.com, tune in and get informed and inspired! Anna is an internationally recognized Equine Specialist, Natural Horsemanship Clinician, Animal Communicator and Reiki Master. As the founder of the Reach Out to Horses® program, she remains on the cutting-edge of genuine, gentle communication techniques. 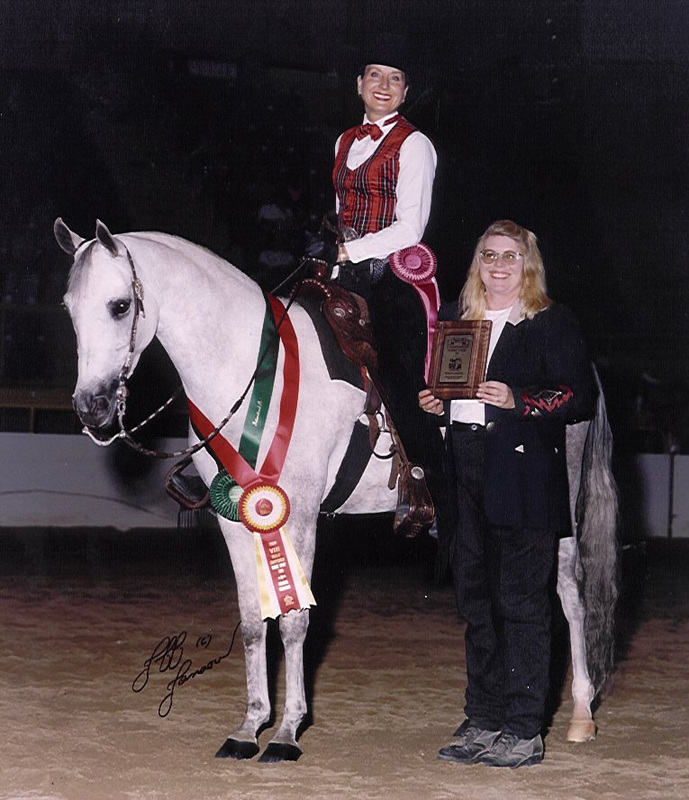 For over a decade Anna had been traveling the world teaching people of all disciplines how to work in the horse’s language and create a trust-based partnership with their horse. She has been featured on U.S. and international television, radio and podcast shows, and regularly contributes to national and international magazines. She can be heard each week on the Reaching Out with Anna Twinney Podcast where she interviews partners and peers, legends and pioneers in the fields of equine behavior and training, animal communication, alternative healing methods and modalities, and more. For more information about Anna and the comprehensive Reach Out to Horses® program visit http://www.reachouttohorses.com, get updates on Twitter, or tell us what you thought about the podcast conversation on the Reach Out to Horses’ Blog. Reach Out to Horses ~ Trust ~ Partnership ~ Results!